Awooooohoooo, this is a damn tasty cocktail if I do say so myself. 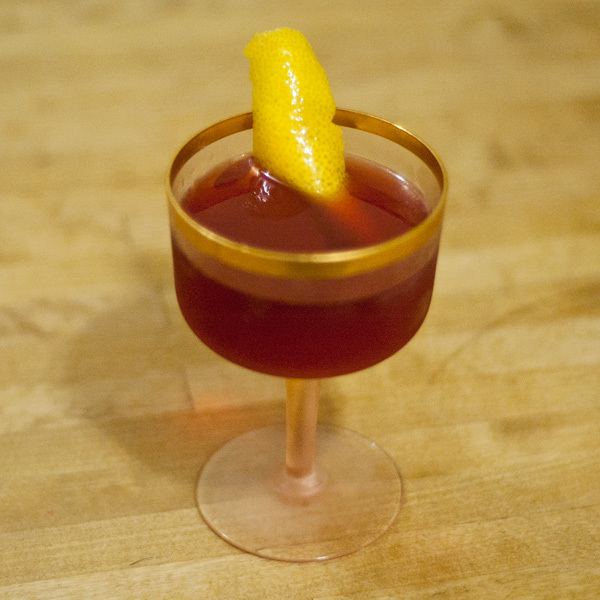 I was playing with Boulevardier variations and trying to make a more wintry/holiday version. Here we are: Campari, Sweet Vermouth, Bourbon and Apple Brandy in equal parts. YES! 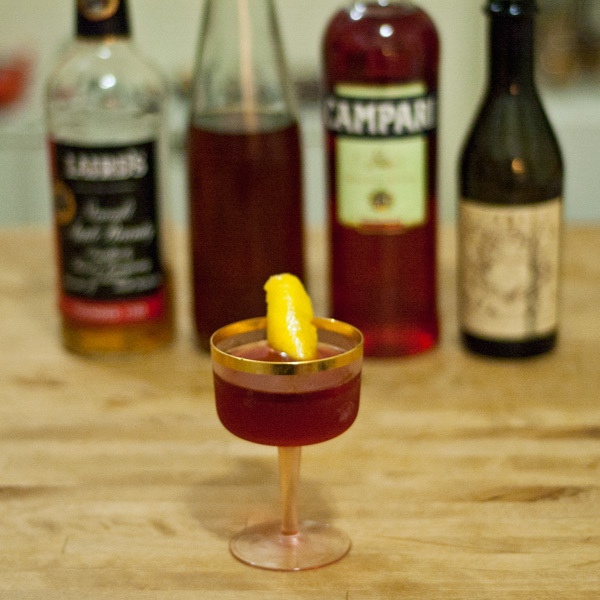 In tin, combine Campari, Carpano Antica, Apple Brandy and Bourbon over cracked ice. Stir and strain into coupe. Express Lemon peel and garnish. Boozy and delicious. I almost made two of them but decided to be safe. SAFETY FIRST.